Delicious healthy carrot cake recipe | Gluten free, grain free. 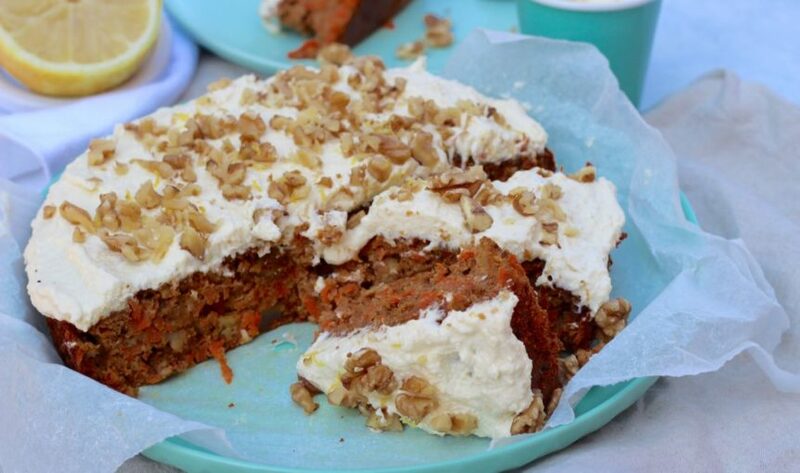 It’s about time we created a delicious healthy carrot cake recipe! 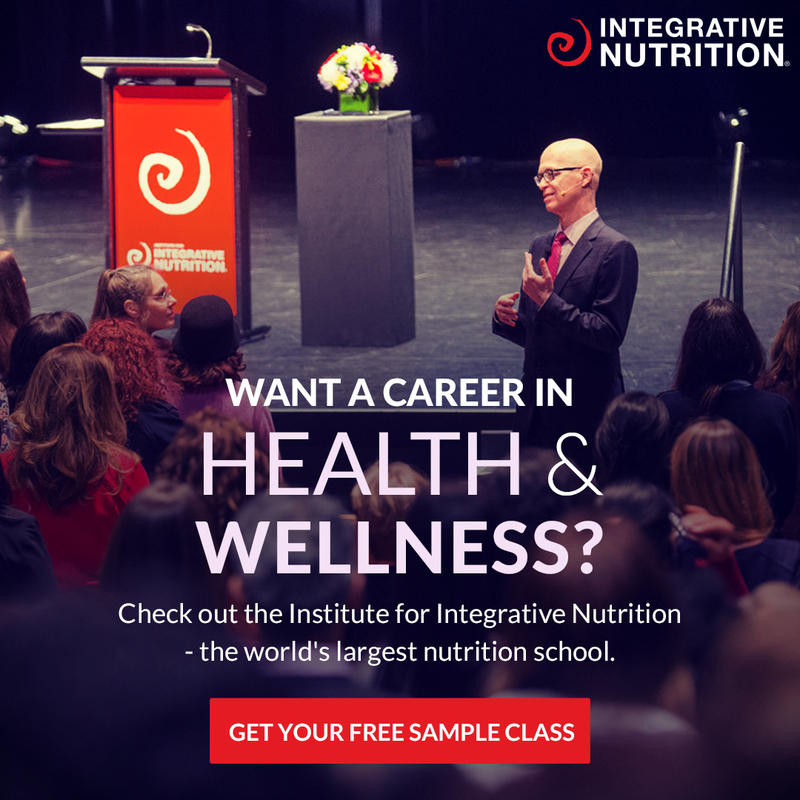 We have a feeling you are going to love it! The cake is moist and the icing is all kinds of zingy delish. It’s brought to you by Supabarn. They have everything you need to stock up your healthy kitchen! 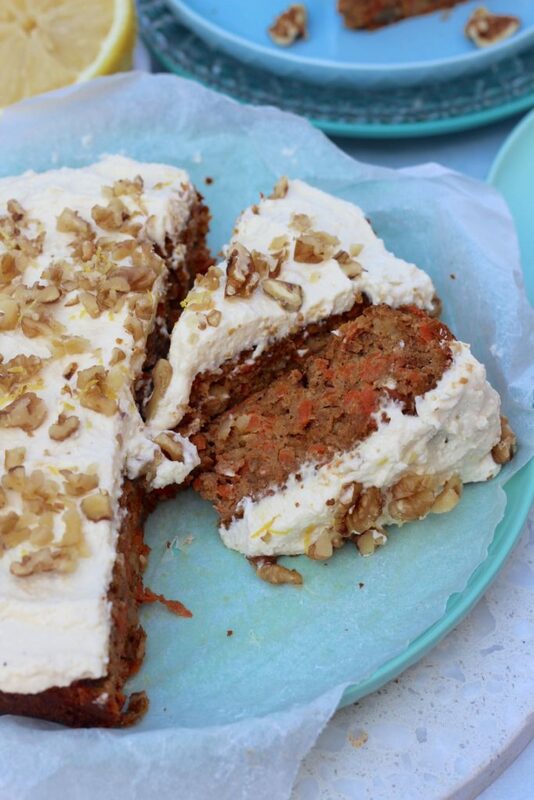 We’ve made a couple carrot cakes before and this one is our fave! But if raw is more your style you can find an epic recipe in the Get Merry recipe book, along with 94 other recipes. 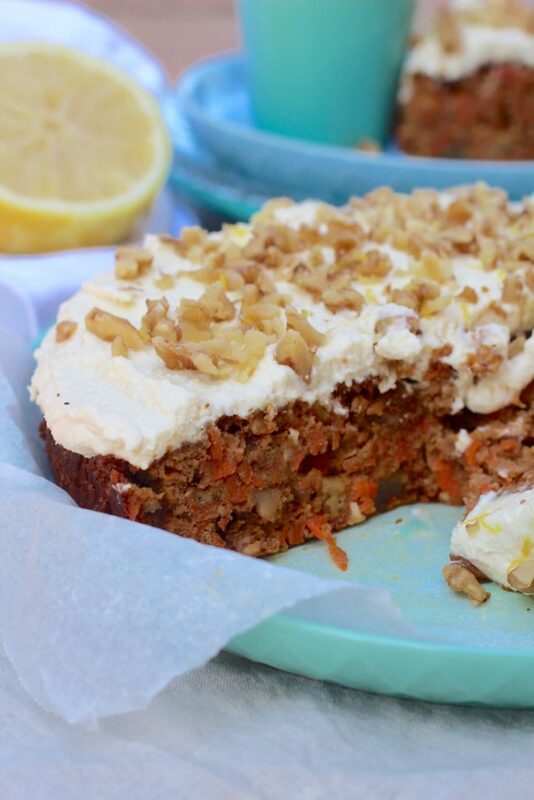 This carrot cake recipe is extra delish because we used actual cream cheese in the frosting. And. O.M.G. It’s so good! If you are dairy free make this carrot cake cashew frosting. It’s yum, but cheese wins. We served it to our epic housemates and they all gave it the tick of approval. But even we couldn’t get through it all at once, so we cut the leftovers into small portions and froze. When you’re ready for healthy carrot cake just allow to defrost and enjoy (you will thank your past self for this, trust us!). If you make it, let us know how it goes! 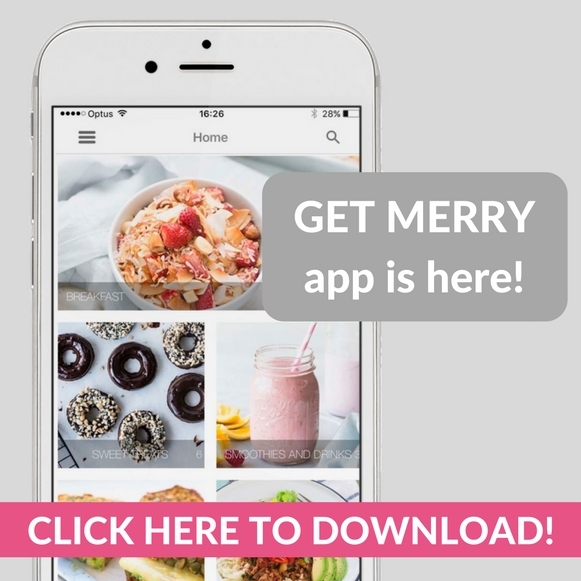 Share a pic with us using #GetMerry on Instagram or Facebook. Preheat oven to 160°C (320°F) and line a 20 cm springform cake tin with baking paper. In a large bowl combine the carrots, almond meal, walnuts, cinnamon, nutmeg, baking powder and salt. Add the butter, syrup, eggs and vanilla, stir really well until combined. Transfer the cake batter into the prepared tin and place into the oven for 1 hour and 20 minutes or until cooked through. Take out of the oven and allow to cool completely before releasing the springform and turning out the cake. Meanwhile, make the frosting! Place all the ingredients into your blender or food processor and whiz until smooth. Once the cake is completely cool, spread the frosting on top of the cake, sprinkle with extra walnuts and lemon rind! Cut slices and NOM NOM NOM! We like to freeze the left over slices so we don't eat it all at once ;). When you're ready for a slice, take out, defrost and enjoy!